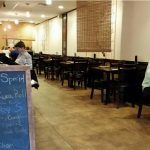 Sakura Japanese Fusion Rochester Hills Review – Pics, hours, and menu info. 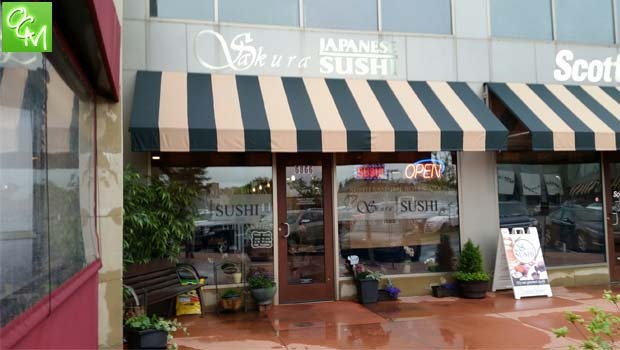 Sakura Japanese Fusion restaurant is located at Tienken and Rochester Rd in Rochester Hills MI in the Papa Joe’s plaza. 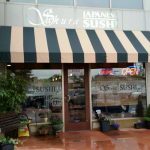 Sakura was another recent stop on my sushi hit list of recommendations… thanks to my Facebook peeps! Sakura serves Japanese dishes and sushi. I did a sushi take out recently and I was quite impressed. The restaurant itself was also quite nice and I would definitely dine in. 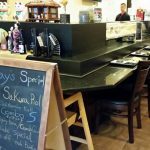 Sakura has a sushi bar as well as ample dine in seating. I was craving veggies and Sakura had some great vegetable sushi options. 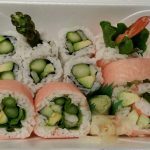 I ordered one roll with cooked shrimp, avocado, asparagus, cucumber and green onion in a soy wrap. I also ordered a roll with avocado, asparagus, and cucumber. The portion sizes were generous and filling. The sushi was incredibly fresh and the asparagus in the rolls was cooked lightly to a perfect tasty crunch. I also enjoyed the soy wrap as a nice change from the usual nori. Sakura offers an extensive sushi menu. I will definitely go back and can’t wait to try out some other options…if I can pull myself away from the two that I already tried and love! I want to try out some of the raw fish options as well, such as the Rainbow roll, spicy tuna, etc. A heads up, if you’re going on a Friday or Saturday night, parking is a bit of mess as the whole lot tends to fill up fast.